Publisher: East Grinstead Photo Company, EOK. Number of times this image has been viewed: 86. 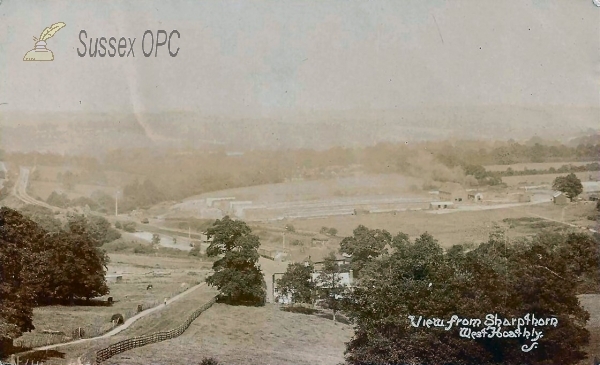 Notes: The railway station is hidden behind the trees - the goods yard can just be glimpsed with the railway (now part of the Bluebell line) winding away to the left. Resolution of scanned image (pixels): 683 x 1120.